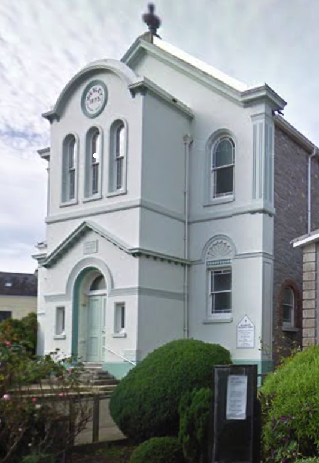 A traditional cache close to this attractive Methodist church. Street parking is not easily found in this village but there is a central car park which is near enough to be able to comfortably stroll to both the church micro caches in Millbrook. Millbrook Methodist Church is a Grade 2 Listed building dating from 1873. It is an active church providing regular services, a Youth group and Bible Study. It is constructed of limestone rubble, rendered front, slate roof with crested ridged tiles. Inside the auditorium has a gallery at the entrance end, with cast iron panels and cast iron piers. Rostrum has stair right and left with cast iron balustrade, central reading desk on fluted wooden columns with cast iron panels as on gallery. Communion rail also with cast iron balustrade. Fittings: wooden pews in auditorium and gallery. The cache is a magnetic nano. This is a very muggle rich area - PLEASE BE STEALTHY.